Terra Istriana is equipped with complete infrastructure. According to valid building permit the demolishing of all the buildings that were the purpose of the current TCU has been done and all the remaining infrastructure is already invoiced and with paid municipal contribution to the ruined building bulk area of 217.759 m3. The existing transport network within the area of Terra Istriana fully meets the needs of the degree of road infrastructure, and today in terms of quality meets the traffic needs that takes place there. The existing transport network is based on unclassified roads that connect to a countyroad 5002 RH-border Umag-Novigrad -Poreč and at a distance of 27 km connects to the existing highway (A1-SLO and then A4- ITA). Additional internal water supply for industrial use from wells NOGERA Ø100 mm-4 Lit/sec. 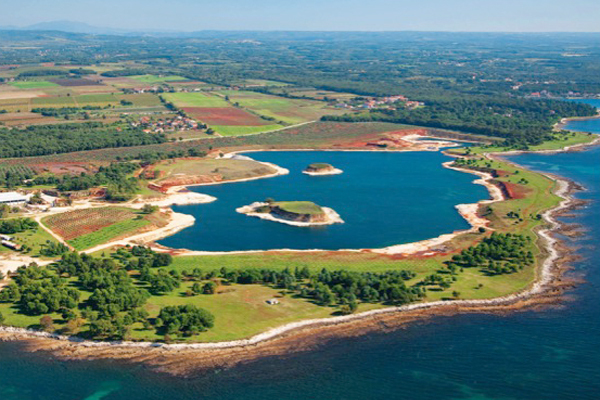 In the area beyond the locationa Ø 150 was built that is connected to the existing drainage infrastructure of the city of Umag. The broader area of coverage is powered with electricity from the substation TS 10 (20) kV FINIDA – with a total power consumption of 3.8 MW which is twice more then needed. The broader area of coverage is equipped with fixed and mobile telecommunication network. There is no gas supply network, but there is a possibility of gasification to the existing gas pipeline Pula-Umag gas station Sv. Vid.